What could be simpler – a punnet of strawberries and 140gms of Peppered Havarti are all you need. 1. 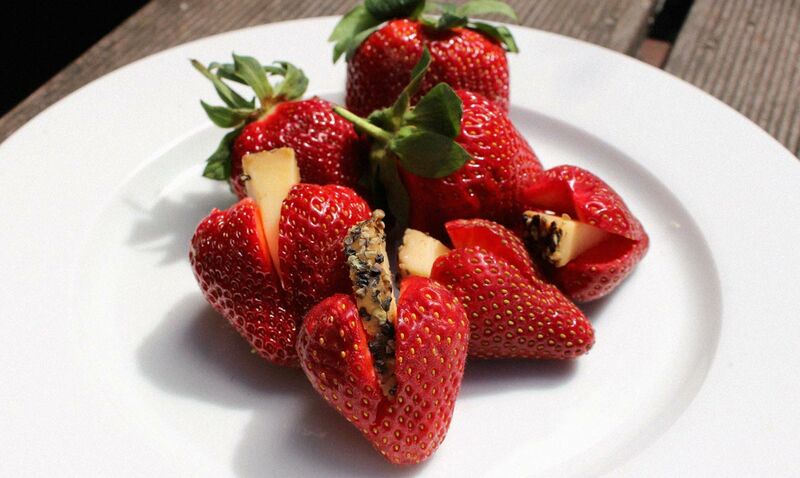 Remove the core and cut each strawberry almost in half.